You need to plan for growth before you start growing. I am always looking for food entrepreneurs to pitch their new food business or innovative food products. As a food industry veteran of over 35 years of experience, I went from running a prepared foods business and started The Foodpreneur to help people on their journey… Getting out of the Kitchen, to Getting on the Shelf and Getting on the Consumers Plate. Most people start a food business because they have the passion for food and have great recipes. They love food and have some very special recipes that you share with friends and family. Inevitably someone says "Your food is so good! You should be selling this to other people". So the prospective food entrepreneur says "I really have a great idea for a product" and passion sends them on a fantastic "foodpreneurial" journey. But, they don’t realize that there is “the business of food”… essentially developing Practical Passion. Sadly most fall in love with their idea, ignore the “Business of Food"... which is why many food entrepreneurs fail. I had a feeling that they were no longer in business… my follow up revealed that I was correct. My additional questions revealed numerous mistakes, lots of capital spent with no return and, like most people who want to start a food business, a reluctance to look for help in successfully launching a food business. So how do you avoid costly food business startup mistakes? The best way is to learn from others so here is my follow-up article… where do you see the mistakes and what would you do differently? Are you still in business selling? If not, what are you currently doing? I previously invented the Pie Saver, these are foil rings that prevent pies from burning. We produced these in Lewiston, Maine through my company, BetaBake Products for 10 years. I sold this business in 2006 and work for the current owners doing sales. We live in Maine for 6 months and Florida for 6 months, so this works well for me. What did you mean in your pitch about a Partner/Food Manufacturing Company? Getting a frozen food product off the ground was much more difficult and expensive than I had anticipated, and between loans and our own money, we invested over $70,000 (not counting time/labor). My husband is 66 years old and at an age where he does not want to take on more debt, which I understand. I have had several businesses over the years and it is my nature to never give up, but I have to consider his situation. 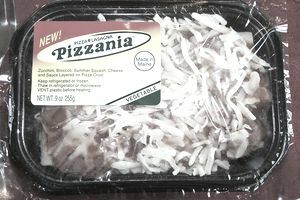 We truly feel the Pizzania is a winning product for a company that is ALREADY IN THE FROZEN ENTREE/PIZZA manufacturing business. What I want to do is find this company (I know they're out there! ), and have them add this item to their line. I am very flexible as to how they would want to work out the details and would love to be involved in selling/promoting the Pizzania (helping with trade shows, sales, etc.) if they desire. We're not trying to get rich quick here -- if the product does well then we make money (% of sales) and if it doesn't work out then we don't, so there would be very little risk on their part. We worked so hard to get it trademarked, we just want a chance to get to market and are very confident it would be a hit. Next - Learn from Pizzania, the costly mistakes for you to avoid.